“Go back to 2016, go back to 2014, every time before an election then all of a sudden Sol Plaatje has a crisis and it happens to be a water crisis. In 2016 Kamfers Dam was revamped or supposed to have been revamped. They have done that with millions of the tax-payers money. “The problem is why are we still sitting with the same crisis now? And, conveniently so, just before an election. Let me put it on record, we don’t believe them and we do not trust them. 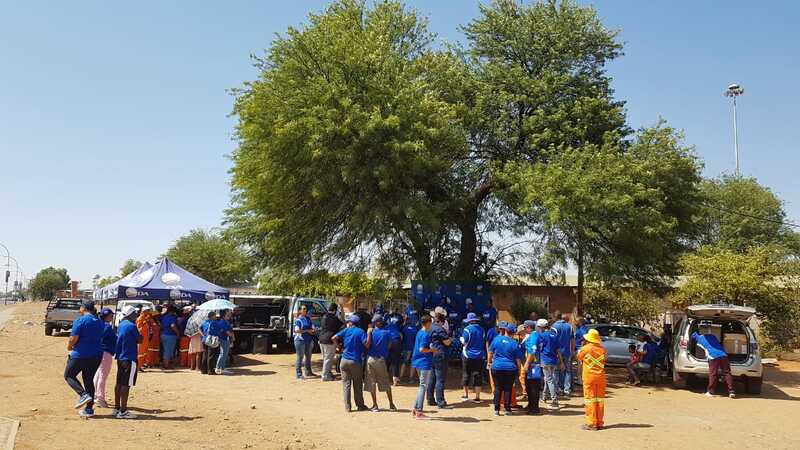 Now the simple thing that we are going to do as the DA, is as public reps and the community, we will be going out there to do spot checks at every point, even the big one at Riverton,” said a charged up Louw, drawing a thunderous applause from party volunteers. 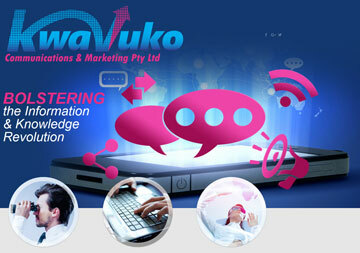 Louw also called for an independent engineer to be appointed by Sol Plaatje municipality to undertake an investigation. He questioned the capabilities of the municipality’s engineers. “How difficult is it for the Sol Plaatje Municipality to fire these people who are incompetent?,” asserted Louw. The municipality based its stage 5 water restrictions of the past weekend and weekends to follow, as an effort aimed at ensuring its reservoir levels “are sustained at least at minimum levels” in the wake of a dry spell and an inability to meet current demand. 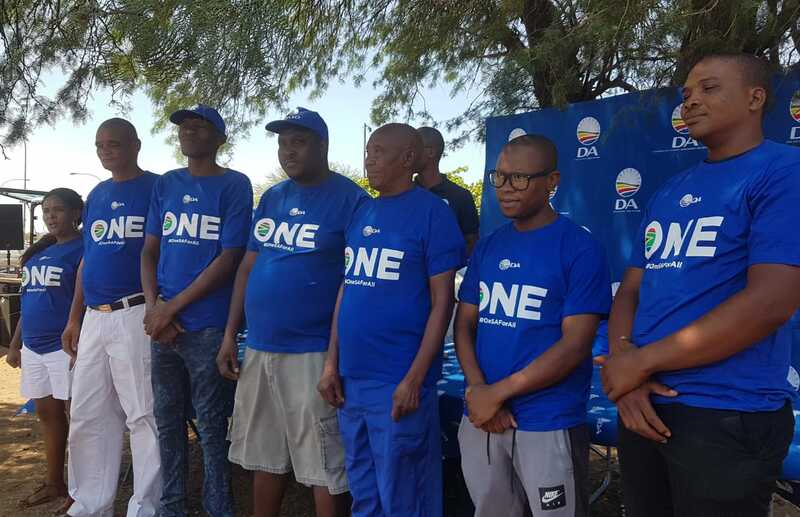 Meanwhile, Louw vowed that the party’s seven candidates – Catherine Du Plessis (ward 9), Lebogang Maruping (ward 12), George Du Ploy (ward 11), Jeffrey Fembers (ward 13), Max Kajarra (new ward 16), Teogo Molusi (ward 19) and Hansie Sibongo (new ward 32) – will provide Kimberley residents with value for money should they unseat the ANC in the by-elections. The ANC and EFF are expected to announce their candidates this week still. The province’s Independent Electoral Commission (IEC) has given parties and independent candidates until end of business today to submit nominations. The ANC sacked seven of its Galeshewe ward councillors in November last year amid having been charged with colluding with the opposition and having brought it into disrepute in a battle for the control of the council. The instability was sparked by widespread violent community service delivery protests which resulted in the resignation of then mayor Mangaliso Matika and the suspensions of municipal manager and chief financial officer. The seven supported a DA vote of no confidence in Matika and had him replaced by one amongst themselves. The ANC fought back with expulsions and succeeded in getting Patrick Mabilo to ascend the mayoral throne. 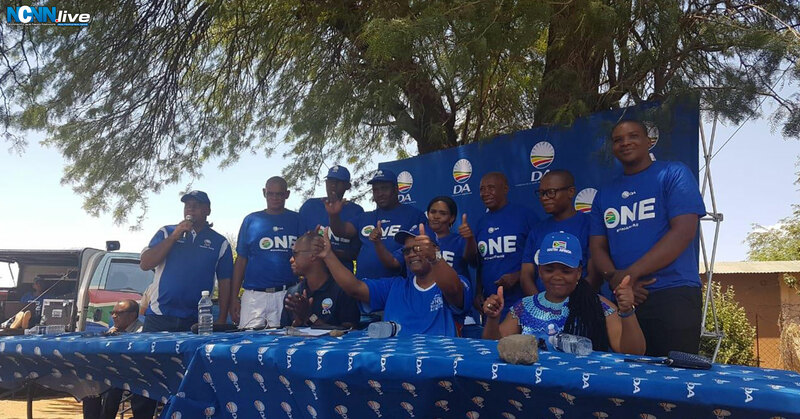 Open-air under the tree DA media briefing on the announcement of its seven candidates for by-elections. The DA’s group of seven for February 13th by-elections.